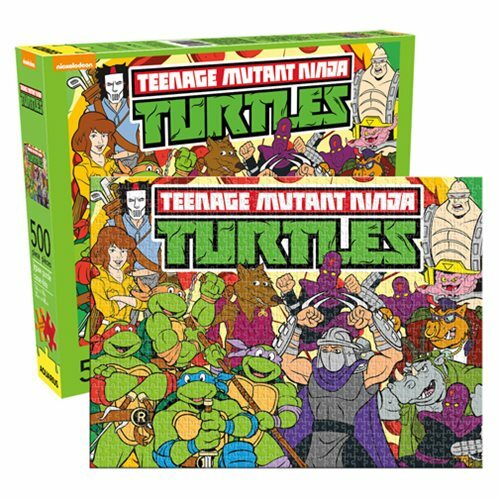 You can puzzle over this Teenage Mutant Ninja Turtles Cast 500 Piece Puzzle, or you can order it and have a blast putting it together. Just look at all the Turtles characters in there! Measures 19-inches wide x 14-inches tall. Ages 14 and up.